To regard something as permissible does not necessarily entail that you’d like to see it encouraged, or to become a widespread practice. It’s also not necessarily the case that simply entertaining a possibility in thought or speech means that you are favourably inclined towards that possibility. But we seem to sometimes forget this, becoming nearly as offended by someone merely thinking or speaking about that which we find abhorrent as we would had they actually committed the act in question. 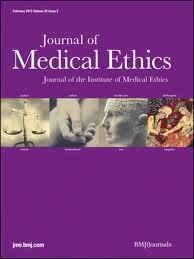 In the Journal of Medical Ethics, Alberto Giubilini and Francesca Minerva recently suggested that if abortion is permissible, infanticide (in certain cases) might also be. The public reaction – and also the reactions from other bio-ethicists – seemed to suggest that Giubilini and Minerva had been spotted introducing toxic feeding formula into the supply chain of their local maternity ward. Their view, in short, is this: many of the existing instances in which we consider abortion justifiable hold equally for an infant, at least during a short period after birth. The authors don’t define the period in question, but this is irrelevant to the questions of principle and consistency that they raise. If, for example, an abnormality such as perinatal asphyxia is discovered only after birth, how is it that ending that life is now considered intolerable where the same severity of abnormality would have justified abortion six months earlier? I can’t do the article justice here, so please read it before assuming their position to be obviously wrong. Of course many would find it shocking to imagine that compelling arguments for infanticide might exist. Some might even be shocked or horrified that people spend their time coming up with these arguments. For the most part, though, the arguments aren’t new – Michael Tooley and Peter Singer, among others, have said similar things in the past. Tooley wrote “Abortion and infanticide” in 1972, though, so it’s mostly only those of us who studied philosophy who got to hear these arguments, because it was difficult for these sorts of texts to get widespread attention without the assistance of platforms like Twitter, Facebook and blogs. Consequently, it was also more difficult to foment the kind of moral outrage now being directed at the authors, including death threats and questions regarding when, if ever, it’s too late to consider (belated) infanticide for ethicists. An increasingly common response to ideas we don’t like seems to be attempts at censorship, or the application of threats in pursuit of silencing, rather than debate. Debate and discussion should always be our preferred option though, because it can result in either the weakening of the viewpoint you’re contesting, or in giving us the opportunity to realise that we are wrong and should change our minds. If Giubilini and Minerva’s views are mistaken, in other words, we should be able to say why this is so. Those who are opposed to abortion in general are obviously not challenged by their views, in that if abortion is impermissible, infanticide would clearly also be. (The authors use the term “post-birth abortion”, for reasons that are made clear in the paper, but this seems mostly to be in an attempt to avoid completely thoughtless outrage.) However, for those of us who think abortion in general permissible, the paper is usefully provocative in asking you to consider which features of the two cases make one permissible and the other not. One feature which makes the cases very different is quite possibly simple human emotion, and the ability to make more dispassionate decisions with regard to a foetus than an infant. And while it’s common for philosophers to note this, and simply move on as if this human frailty is something to regret – certainly not a factor that should unduly influence our conceptions of right and wrong – I do think this is an important feature, and that Giubilini, Minerva and those that want to defend their views need to take it into account. While I do think it’s true that we should aspire to being as rational as possible, this doesn’t mean that all non-rational or even irrational motivations are always flaws to be regretted and eliminated from our repertoire of responses. In this case, the disposition to value life (and especially life that is now exemplified in a fully-formed human rather than something more developmental) is in the majority of cases good for us and therefore perhaps a candidate for respect and encouragement rather than scorn. Extending the range of beings that it’s permissible to kill, or the phases of development where they no longer count, serves as a signal to those of us who are living and aware of being so. The signal is one that lacks empathy for the majority of the population, who have the same fears as everyone else but often lack the resources to articulate those fears in the language of intellectuals. One could perhaps say that it would be ideal for us to be less sensitive and precious about killing and letting die, but this would only be on one model of the ideal human – the one that resembles a purely logical Spock more than it does any of the humans we actually know, and ourselves are. The point is that both sides of debates like this are (at the margins at least) premised on caricatures of humanity. I do think it’s true that many cases of potential infanticide are no different from cases where we consider abortion justified. So to my mind, it’s true that we’re being inconsistent in being repelled by the former and not the latter. But to make this case in a way which presents both the foetus and the newborn as fleshy objects of logical analysis also misses something, namely the sorts of adult humans we’d like to be, and the sort of world that conduces to becoming that sort of adult. We’re understandably reluctant to end lives, even though these are not the lives of persons. That reluctance is plausibly a virtue worth reinforcing, rather than trivialising. Yet we should be able to talk about these things without fear of death-threats, and without those discussions being hijacked by the likes of Glenn Beck as evidence of a “progressive” agenda to introduce eugenics. Moral outrage is not a sufficient justification to shut people up, especially when those people could be pointing to an inconsistency in our reasoning we’d benefit from knowing about. We also don’t want the boundaries of debate to be set by those who are most strident, where death threats or accusations of eugenics become effective techniques in argument. A level of despair at how quickly emotive topics such as this descend into that sort of name-calling is understandable and justified. But having these conversations is nevertheless important, and the reactionaries can’t be allowed to win through the rest of us simply not showing up to argue with them. So, Giubilini, Minerva, and others like them should keep asking these difficult questions. But even when the responses seem hysterical, let’s not forget that there might well be something to be said for remembering that we don’t only live in our heads, but in bodies, families and communities too. Also see Keenan Malik and Peter Singer’s responses.